jewelry | Live a life worth writing about. 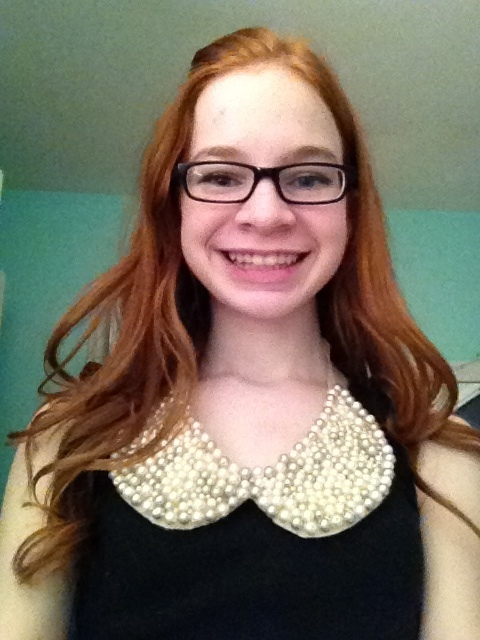 My DIY Peter Pan Collar Necklaces! Hey guys! So on last week’s TGIF I showed a picture of the little DIY project I was working on, and now it’s time to show you! 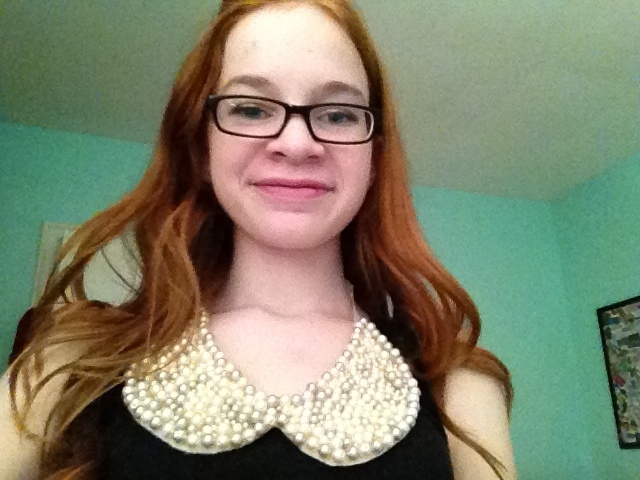 I made Peter Pan collar necklaces! Missglamorazzi put up a tutorial of these, and I was immediately drawn to them. So, like a little Martha Stewart, I made my way to Michael’s, and got the supplies for it! They were a little messy to make, and I had some downfalls. I made like ten of them and only one I actually LOVE. 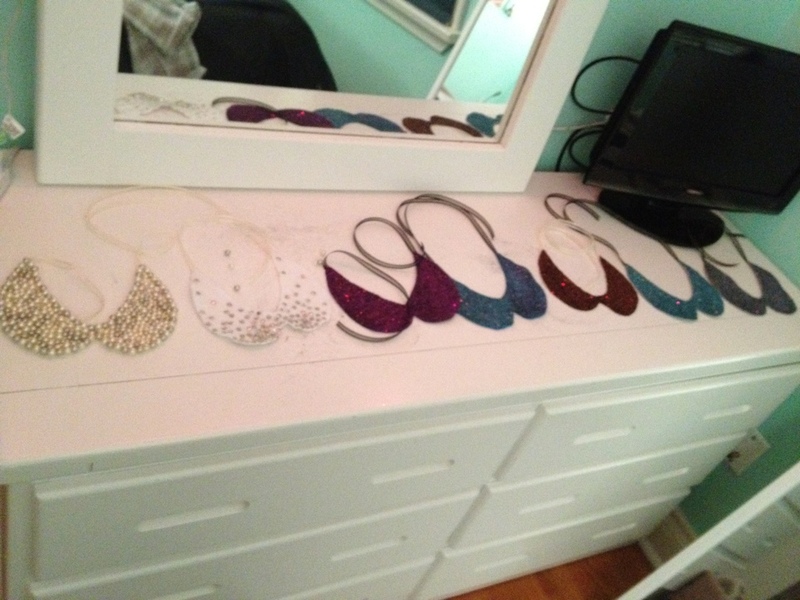 I made a whole bunch with glitter, but they are really stiff! I’ve been a little too busy to actually test out wearing them, but from what I can see, they are going to be too stiff and too ‘crafty’ looking. I made two with studs, and I am still experimenting with them too, but they seem really lightweight, and they seem like they lift up and kind of float around my neck…maybe some tape stuck to my shirt…? Haha, but out of them all, one turned out AMAZING! I feel like it was $600 at Chanel or something! I got so many compliments on it the day I wore it to school, and it’s really cool being able to say that you made it. 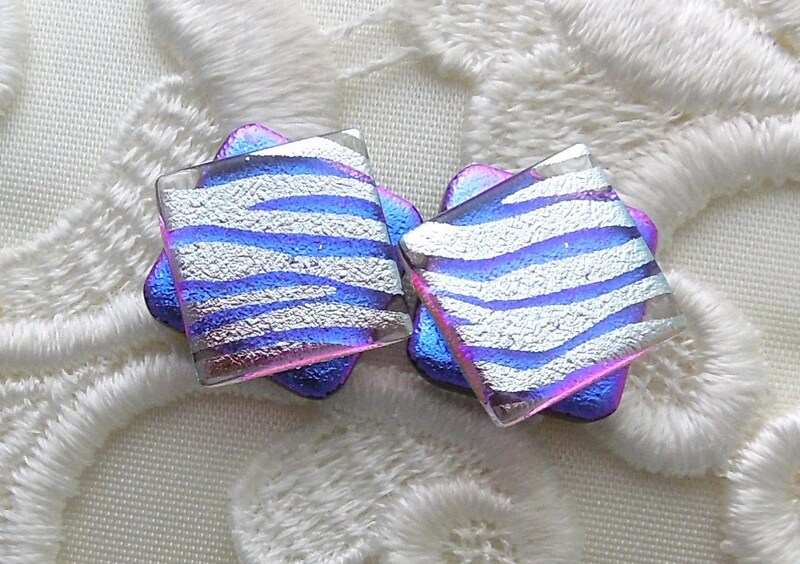 I have a whole ton of supplies to make these things, so I am still going to experiment on how to make them just right. I didn’t feel like doing a tutorial on them would be necessary because missglamorazzi did it, and that is exactly where I made mine from. Make sure to cut off the top of your glue, don’t twist off the cap and use a brush. The brush will stick to all of the beads that are already placed on the felt, and pick them all up off of it. Just squeeze the glue out of the top in the areas that you need, and if they aren’t too small, spread them out with a brush. I didn’t know that I had to cut off the top part of my glue, I just thought mine was broken! I personally outlined my collar with the beads (just like she did), and then when I had to put the glue all around them on the inside, I used a brush and the beads that were already placed on the outside rim stuck to the brush and came off. In other words, don’t use a brush for this one! Use lots of glue! Some of the beads will probably come off and you will have to reglue them like me, so just use a lot at start. Make sure the entire surface of the felt is coated with glue, so the beads all stick. No shortages! Put lots of coats of glue on the ribbon. The collar is a little heavy, and you don’t want it to fall off when you’re wearing it. If you don’t want to print off the template, just trace it on your computer screen! Obviously very lightly because you don’t want to damage your screen!! I just very quickly did a little sketchy trace, and then kind of polished it just by freehand, and then cut it out. Don’t use too much glitter, you’ll be surprised. Use wax paper! If you get some on the wax paper when applying the glitter, just dump it back into the bowl and use it again. Know that this is a messy project. 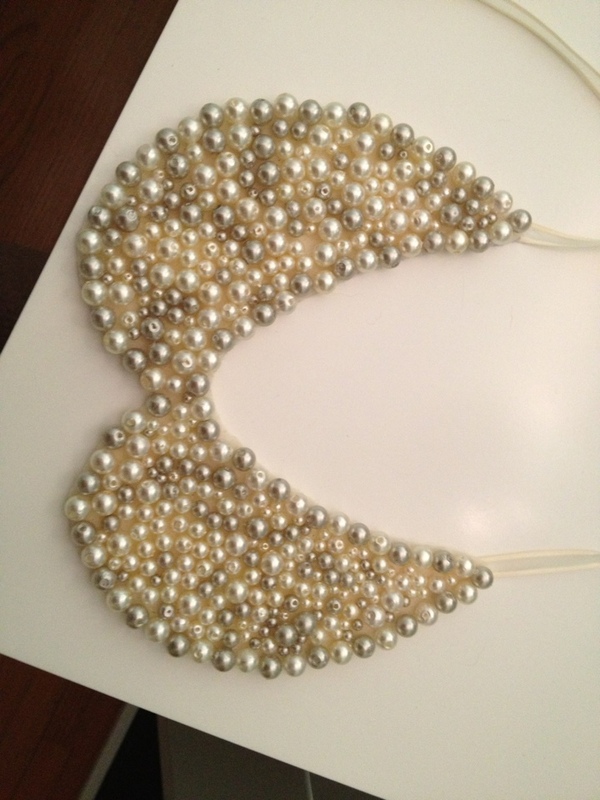 Before removing the collar from craft area, tap it to make sure ALL the excess glitter comes off. GET THE FREAKING TIPS WITH GLUE. PLEASE. I had this issue so many times that I had to make a new one. The glitter does not adhere to the tips unless they are very SERIOUSLY coated. If you don’t coat them, they look ridiculous. It didn’t really show in the video, but oh my gosh, please beware! Do it the first time, because once the glitter is already on the whole thing, applying glue to the tips again just makes it all lumpy and doesn’t even work! Along with this, pick a colour of felt that goes with the glitterso that if some felt does show through, it won’t be that noticeable! Once again, use lots of glue on the ribbons. Remember that you can mix glitters to make it look kinda cool. I may attempt to do an ombre one in the future! I think that’s about it for my tips! The studded ones were easy, just very time consuming! Oh, and if you are sneaky you can get two out of one piece of felt! So if I find out a way to wear my other ones, I will show them in OOTDs. But for now, I am just going to show you the one that I love (which by the way, I just wear it with a plain beige long sleeve shirt), and the pic I showed last Friday. A little ridiculous you may say? Thanks to missglamorazzi (my favourite youtuber) for the tutorial and video! Talk to you guys in like a second with another post! Bye! Hey guys! So I am coming to you with a new series! Celebrity style! I am basically just going to be highlighting a celebrity’s style that I see online. Today is Taylor Swift’s mint heart earrings! 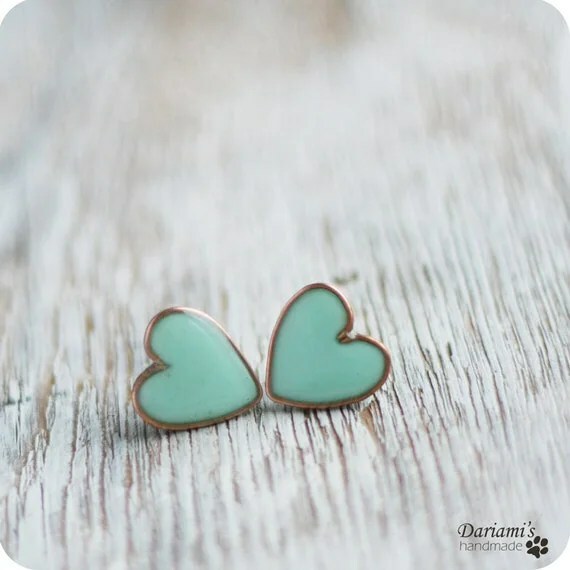 I found a pair of mint heart earrings on Pinterest, and looked them up on Etsy, and found these gorgeous pair of studs! Then, I was watching Both of Us music video, and saw this!! Is she wearing them!? It looks like it to me! They might not be the exact ones, but they look pretty similar! So what are your thoughts on these!? Like em!? I do! I’ll talk to you guys soon! I have another Taylor Swift Celeb Style post planned soon! Thanks for reading! Bye! Want to know where else to find me!? Hello again! So as you guys know I am a little overly obsessed with YouTube, and have been for like 2 and a half years now, and I have been following this girl named MakeupbyTiffanyD. Well today she posted her jewelry organization and I fell in love. She stores it all in the perfect accessible way, and it looks absolutely amazing on her dresser! All of the comments on that video say “you have great taste”, and I completely agree! It looks so put together. Anyways, here is the video, her blog post, and a few pictures of her collection. I have gotten a lot of inspiration from this video and whenever I get around to perfecting my room (it’ll probably be in the new year!! haha), I will show you guys how my interpretation of it is. I hope you guys enjoyed! Go subscribe to Tiffany! She is one of my favourites! She truly does have great taste. Thanks for reading! Bye! Hey guys! So recently getting my ears pierced, I have of course been drooling obsessively over earrings online, and I thought I’d show you some of my favourite pieces I’ve found! Just on a little side note, today I will be cleaning up some categories and stuff so if you see some changes, that’s why! Onto my unhealthy addictions! I’m done! Haha I hope you guys enjoyed! Tell me which ones are your favourite in a comment! 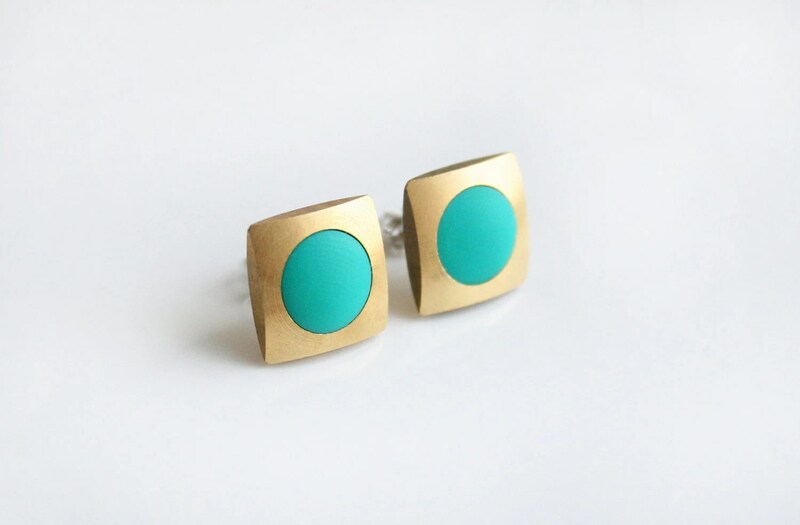 So, what are your favourite stud earrings? Leave that in a comment too! I will talk to you guys soon! Thanks for reading! Bye! Hey guys! So I have another quick post for you! I have recently been crazy, crazy, crazy obsessed with Tiffany & Co. OMG. Haha, I have already planned for five things in the next few months! I have been watching this video over and over again too! 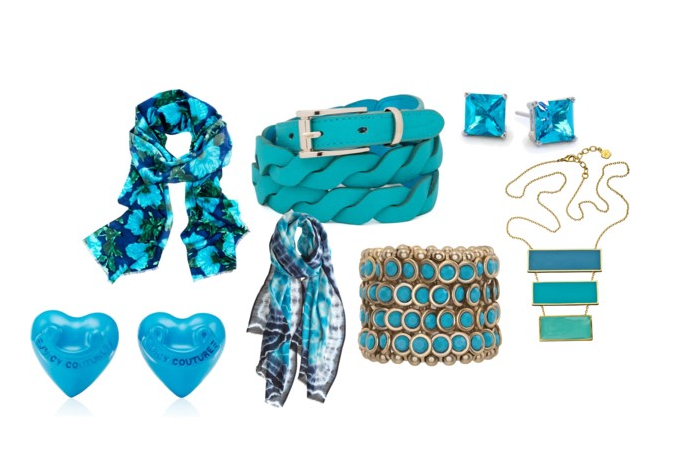 I love michele1218! Pictures from here, here, here, here, and here! Just out of the blue wanted to do this post! Thank you guys so much for reading, and I will talk to you soon! Goodnight!